Practice quietly with the response and feel of traditional cymbals. The Quiet Tone practice cymbals respond just like regular cymbals, with a clear, defined bell sound and responsive bow/edge. You don't have to play them differently like you would with a rubber pad or any other substitute. The tough, durable metal alloy resists denting and breaking. It also gives your kit a sleek, steely appearance. 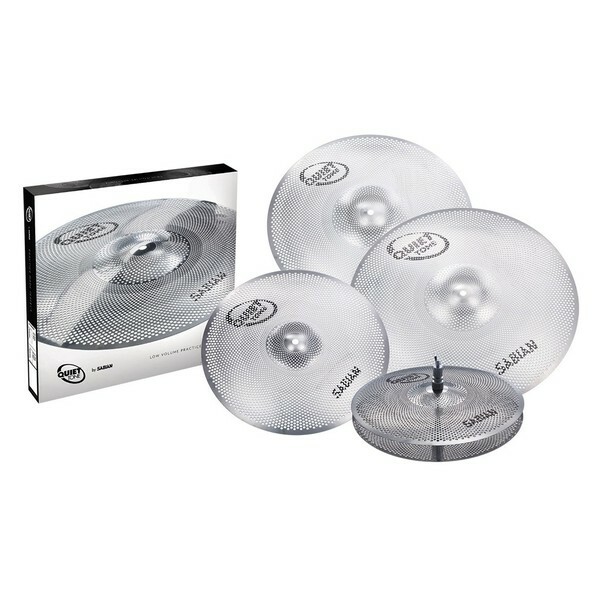 This complete package features a pair of 14'' hi-hats, 16'' and 18'' crash and a 20'' ride. Use them for quiet practice at home, small rehearsal spaces - take them anywhere that requires low volume playing. Sabian Quiet Tone cymbals reduce limitations so you can get the practice you need. You can practice without disturbing those around you, and they are incredibly durable, making them a worthwhile investment for any conscientious drummer. Responding just like regular cymbals, they encourage proper technique and deliver a rich sustain with a defined bell tone.